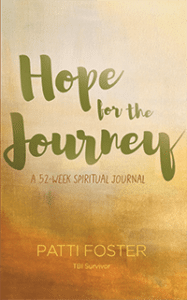 "Hope For The Journey: A 52-Week Spiritual Journal"
Patti Foster, a Traumatic Brain Injury (TBI) Survivor, is a courageous inspirational communicator who puts her motto M.A.D. Now! (Make A Difference Now!) into living color. 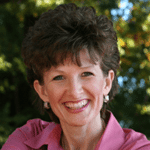 As a former radio personality and now, a voice-over talent, Patti offers challenging, refreshing messages that she’ll customize especially for you. 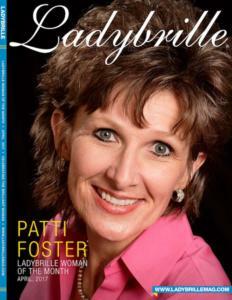 Patti Foster in one word? Passionate. Whether in a crowd or at home with family, on stage or on the air—she gives all she has to whatever she does and lays hold of each moment. She’ll make an impact! As trouble erupts, hope appears on the scene in all shapes and sizes at just the right time. It has no limits…knows no boundaries. Each week take another step toward life…and experience a personal taste of hope for your journey. After suffering a Traumatic Brain Injury (TBI) in a traffic wreck on June 18, 2002, Patti now puts her motto M.A.D. Now! into living color every day. Relationships play a major role in our leaving a legacy in the fabric of life. Patti encourages us to take a step toward life. Lean into life and learn the value of the things that matter. In life, there are two kinds of people: basement people and balcony people. You’ll discover that small things really do make a BIG difference! Patti Foster was thought to be dead at the crash scene…until a bystander heard a gurgling noise come from beneath the white sheet. Today, she takes no moment for granted and lays hold of every opportunity to live her motto: M.A.D. Now! – Make A Difference Now! 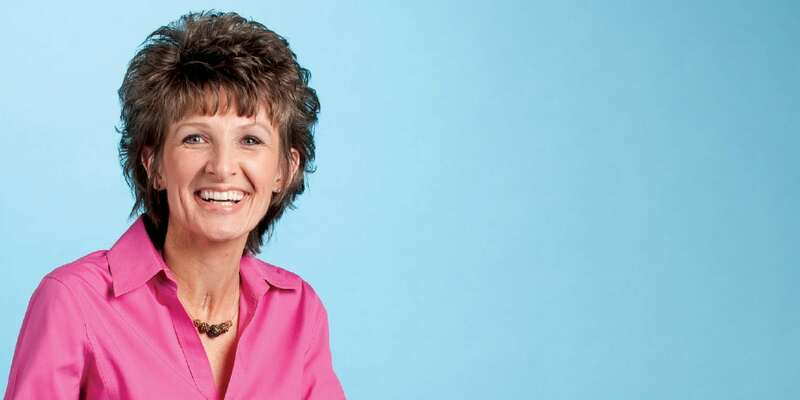 She was the morning show host at WFRN, an inspirational Christian radio station broadcasting in Indiana/Michigan. Before then, she was the afternoon show host at KVNE/KGLY covering Texas/Louisiana. And now, Patti not only does voice work around the world, but she travels in the USA and abroad inspiring and educating others about brain injury. 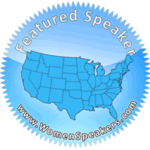 Read Patti’s Complete Bio.